I just realized now …. Wala pala akong mga gamit na pink …. When I opened my closet, there weren't no colors at all … white and black lamang.. huh! But I know there’s someone in the house who’s sucker of pink stuff … and that’s my daughter. I asked permission if I can take photo of her stuff, …. So, you’ll gonna blog this, (spoken in shaky body with rolling eyes) you sure have to give me a share mom…. waaaaaaahhh! May condition… I didn’t teach my daughter that, where did they get those expressions, sometimes even how closely you guard them … there are workings beyond your hands and eyes can't see which moms should be more careful of … haisst… I thought raising children is just all about feeding and dressing … waaaaaaaaaahhhh! The hardest job ever. those are some serious shoe collection at a very young age! Nyay! 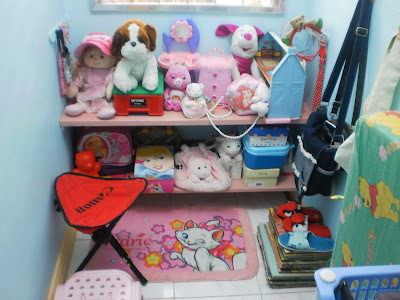 Dapat entry mo den to sa I LOVE PINK sis. Haha. Hay Imeldific talaga ang bata. Hahaha! sabi nga, madali magbuntis, mas mahirap maging ina. pero you should be proud,hanga nman ako sa pagkaorganize ng things nia ha,whereas my 17y.o,naku npaka disorganized ng room! Pretty neat room! It's nice that your daughter is very masinop kahit bata pa. 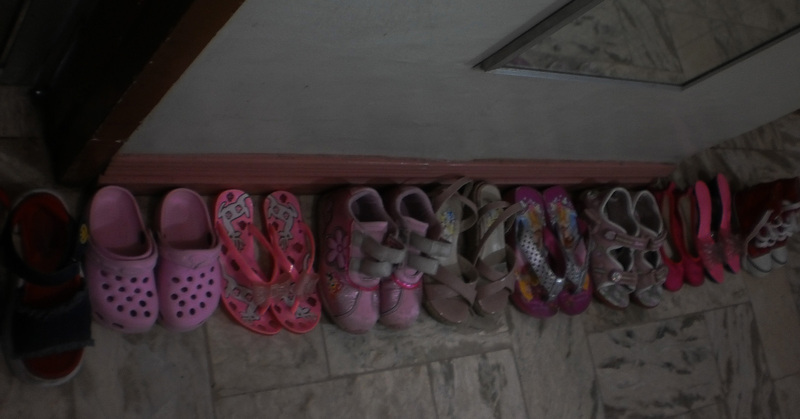 I agree future Imelda Marcos ang anak mo Sis..
wow, so cute and the shoes , talagang pink na pink. LOl. wow! talaga naman pinky overload ang dauther mo. lol! Thanks for visiting my GT:Pink. whoaah! that's a practical girl you got there! lol! way to go girl! agoy ginoo ko...kadaghan sa shoes sa imong dalaga te woi...unica hija lagi woi daghan kikay stuff...ehehehe! she's a pink lover too! I admire your relationship with your daughter. You are simply irresistible as her mom.